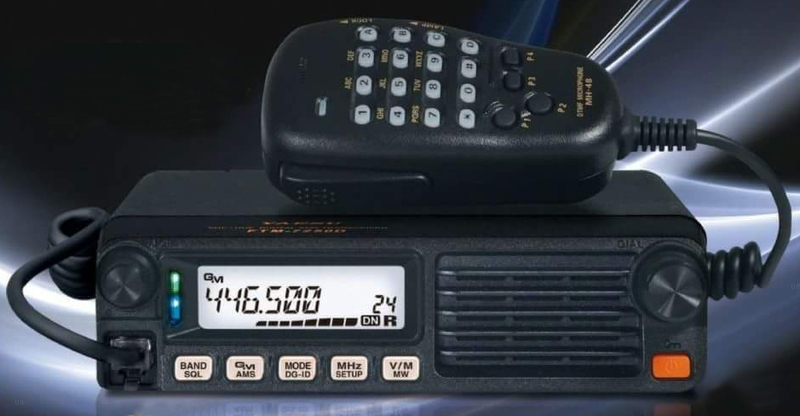 The Yaesu FTM-7250DR is a ruggedly built, compact C4FM/FM 2 meter / 440 MHz mobile transceiver, providing up to 50 Watts to ensure stable long-distance communications. The front firing speaker delivers 3 Watts of loud and clear audio, even in noisy environments. And you get 225 alphanumeric memories: 199 “Regular” memories, one “Home” channel for a favorite frequency or repeater pair, and 10 sets of band-edge memories. And you can quickly select channels while in the Memory Only Mode. The controls are easy to operate. 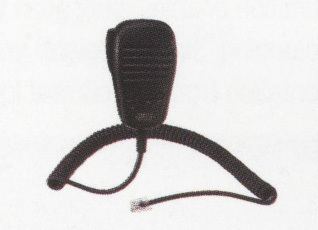 The supplied hand mic has four programmable keys for one-touch access to your favorite commands such as “Recall Home Channel,” “Scan Operation,” “Set the TX Power,” and “Open Squelch.” The commands available with the microphone replicate the corresponding front panel functions. Other features include: CTCSS/DCS encode/decode with split Tone and DCS encode-only capability, RF Squelch, Transmit Time-Out-Timer (TOT), Automatic Power-Off (APO), Automatic Repeater Shift (ARS), Busy Channel Lock-Out (BCLO), Separate Transmit Frequency Memories (“Odd Splits”) and a bright multi-colored status LED cluster. While the new FTM-7250DR is a solid and durable transceiver in keeping with Yaesu’s legendary mechanical toughness, it also incorporates new technology such as Automatic Mode Select (AMS), one of the most advanced features of System Fusion [C4FM]. The AMS mode instantly recognizes whether a transmission is digital or analog, and appropriately switches the operating mode to allow flawless co-existence of both digital and analog users. The versatile FTM-7250DR transceiver also utilizes the ever-popular Digital Group Monitor (GM) function; a terrific asset allowing users to see at a glance if registered members of a group are within communication range. A front panel LED indicates the transceiver's mode of operation with the received signal indicated by Blue for digital C4FM or Green for analog FM. The rear panel has a DATA jack for free firmware updates from the Yaesu website. 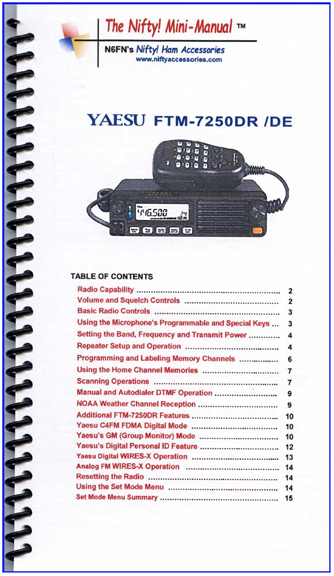 Includes the MH-48A6JA DTMF hand mic, USB Cable, Mounting Bracket, DC Power Cord, Operating Manual and Warranty Card. 6.1 x 1.7 x 5.7 inches 2.86 lbs. (155x42x146mm 1.3 kg). #5225 YPS-7250-USB RT Systems programing software CD with USB-29F computer cable. Copyright 2018-2019, Universal Radio, Inc.